aluplast launched its new Ideal 4000 PVC-U casement in 2016. Two-years in and our energy efficient ‘click-and-fit’ aluminium cladding system, its proving highly popular with fabricators and installers. Find out why. We’re always told that we ‘can’t have our cake and eat it’. But what if we could? The aluminium sector has seen exponential growth. A generation of homeowners hooked on the appeal of slim sightlines and contemporary ‘urban aesthetics’ through the ‘Grand Designs effect’ and a tranche of aspirational home improvement shows, have driven a significant increase in aluminium sales. 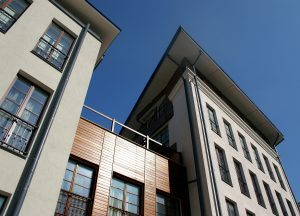 According to the latest edition of Palmer Market Research, The Window, Door and Conservatory Markets in Housing in Great Britain, published in October, aluminium systems companies will collectively see consistent gain in market share through to 2020, taking 11 per cent of the sector in total, compared to 9% in 2015. The ceiling, has, however been set. Affordability and thermal performance – and often both in combination – set a limit on aluminium’s current market potential. And while this means that other material manufacturers can breathe a sigh of relief, it also creates a significant opportunity. It’s this opportunity that the Ideal 4000 SquareLine Casement System – and specifically the aluskin aluminium cladding option that comes with it – has been developed to exploit. Sitting alongside aluplast’s core fully sculptured Ideal 70 offer, the Ideal 4000, launched last month [September] is a PVC-U system first, an aluminium ‘cross-over product’ second. 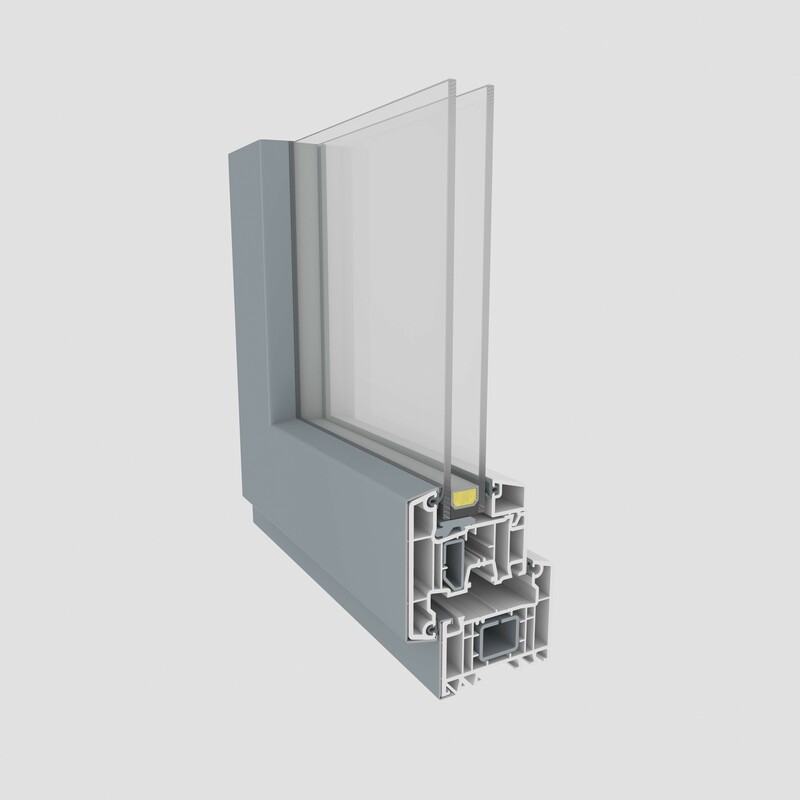 Tested to Part Q, PAS24:2012 and Secured by Design Specifications, with five thermally efficient chambers, in common with aluplast’s Ideal 70 fully sculptured PVC-U system, the 70mm Ideal 4000, easily achieves a WER A+. It also exploits many of the same cutting-edge technologies developed for the Ideal 70, including the eco-tech system. But in offering 15 working days or less on special orders, it’s colour offer is equal to and out-strips, many of the foiling services offered by leading extruders here in the UK – this is inclusive of travel time from Europe. And foiling a staggering 1.2million metres of product each month, aluplast also offers an incredibly flexible offer. There is also no minimum order, no surcharge and no setting up charge. Orders for single windows can also be accommodated. This is because of aluplast’s significant investment in CNC foiling delivering a staggering 1.2million metres of product each month. “aluskin is a technology which has been in use by aluplast for some time, so in this respect it’s a proven technology and is fully tested to a raft of European standards and BS 6375-1:2009”, Cocken continues. “It’s launch as an integrated system alongside the Ideal 4000, represents a first for the technology in the UK. It’s a ‘transformer’ product. It moves PVC-U window systems into new territory importantly, does so cost effectively”, he adds. This gives the Ideal 4000 reach into multiple markets. 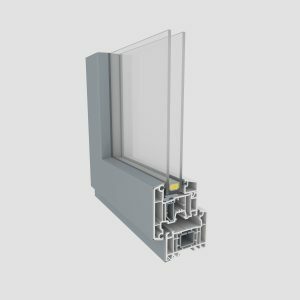 In its ‘naked’ PVC-U form it remains a stylish square-line window, delivering the aesthetics and performance that give it stacks of end user appeal. Foiled finishes edge towards a more premium market, while the aluskin system places it firmly in a ‘higher end’ sector. It also has reach across multiple sectors, including not only residential but new build and commercial applications. “The Ideal 4000’s contemporary styling lends itself perfectly to an aluminium finish, giving it reach across markets and at multiple price-points”, says Cocken. “In its PVC-U or foiled finishes it lends itself to contemporary or classic casement installations. In aluskin, you’re moving into a contemporary premium residential offering or commercial market. He concludes: “The aesthetic appeal of aluminium is unquestionable, the price point and thermal efficiency create challenges. The Ideal 4000, is an exceptional, contemporary and highly flexible PVC-U system in its own right but which also provides a low cost springboard into completely new markets.